Nemo joined our gang in July 2004. One summer weekend we drove to Karjaa kennel Harjaselän to pick up our new family member. 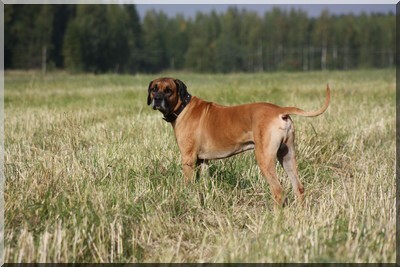 Sanna (kennel Harjaselän) import two litle guys from Poland here. 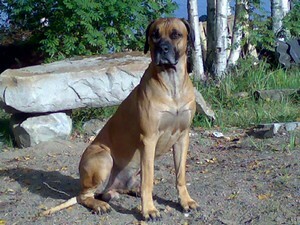 Nemo was bred by Edyta & Wojciech Ossowski, kennel Sangoma. It was their fisrt litter. As a puppy Nemo was very brave and very active but likewise he was very calm. Everywhere I went Nemo followed me. 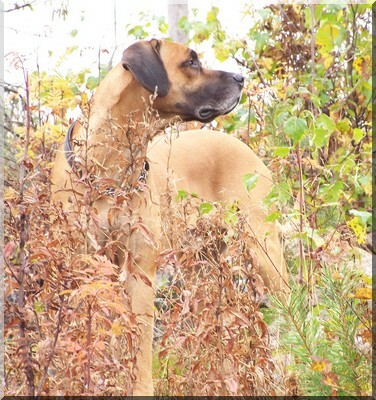 Even then he wasn't afraid big adult male not even my sister two Great Dane. Six month old he started decoration our stuffs. The shoes, belts and table got nice new look. All that stopped after we moved our own house (we were living with my parents for that time). Nemo was very independent and seflconfident. He doesn't care much other dogs or people if they was not come to our yard. Nemo was always prepared for guarding the family. He was very loyal and clearya one-man-dog. His character made him very challenging to train. It seems like he allways thooth from all possible and impossible way how to act. My friend says that Nemo is slightly "stout" dog. Nemo was a wonderful "family" dog. He's was very easy to live with. You could took him anywhere and he didn't care, he got's very well along with children. Nemo loved long walks on the woods and layed on the sofa. almost all the time he was ready to went out except 5 am. He is was sleepy in the morning. Nemo was one and only dog who teach me to understand to more about dogs and read them small signals. Without him I could not learn so much about these. He had his onw faults but he had so much in good qualities. We all miss him so much and our hearts is always place for him. farewell my precious we meet again in the rainbowbridge.